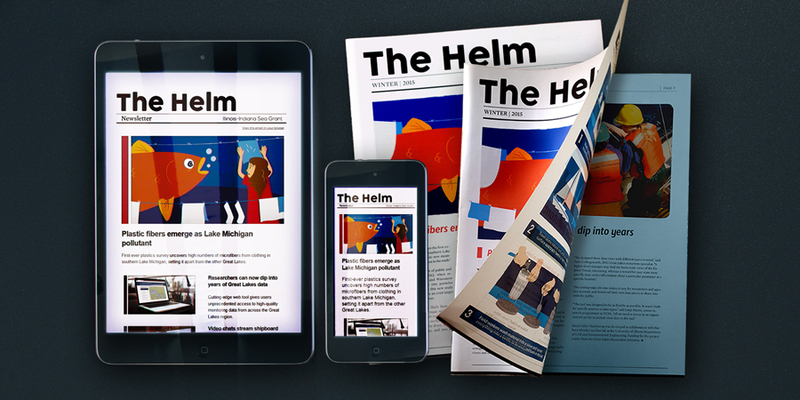 Whether you’ve been following Great Lakes news for years or are looking to get caught up on key issues, you won’t want to miss the latest edition of The Helm—now with a fresh new look! In this issue, you’ll learn about new discoveries in Great Lakes plastic research that suggest southern Lake Michigan may present a unique problem for communities and natural resource managers. You’ll also hear how video chats with EPA scientists are helping connect K-12 students with Great Lakes science and read about Illinois’ plan to tackle the Gulf of Mexico dead zone. Read these stories at the links above or find the whole edition on Issuu. You can also subscribe to our e-newsletter to make sure you never miss an issue.